We understand that couples would love to create the most unique and beautiful pre-wedding album to reminisce for many years to come. Among many destinations you can go to in Indonesia, Bandung should be on your list of options. Not only does this city offer a good mix of both nature and urban view, Bandung also offers many spots you can take pictures in uncharged! You can’t visit Bandung without walking through its streets and have a taste of a Bandung local’s life. Shots in busy streets such as Dalem Kaum gives a unique and lively ambience in your pictures. You can take great candid or pop art-style pictures. Gardens do not always need flowers to look good in pictures! The Stone Garden is located on a hilltop not too high for you to climb, but high enough to have a view of lush trees, stone hills and mountains afar. As a bonus, you can also get a fantastic view of the sunrise if you come just in time. If you’re the adventurous type of couple, this site should be in your list of destinations. If still waters is your type of aesthetic, Situ Patenggang is the right place to go! Located 1,600 meters above sea-level, this lake also offers a sight of tea plantation and misty air to add a level of romantic feels. 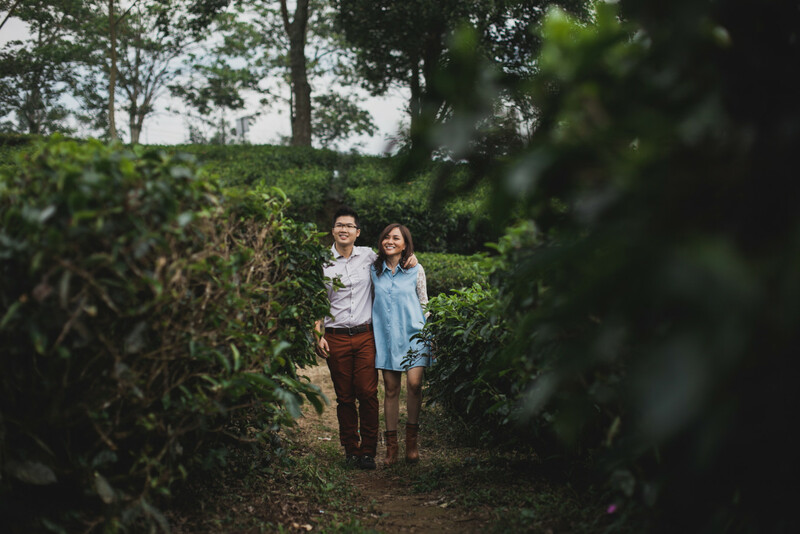 Some couples might enjoy having pictures taken while enjoying a cup of tea, but you might be the couple who prefers to enjoy the scent of freshly picked tea leaves and the relaxing sight of a vast garden of green. In that case, Kebun Teh Walini is the perfect choice! Known best as a wedding venue, this white mansion gives you a chance to get a neat, indoor look if photo studios are not your cup of tea. 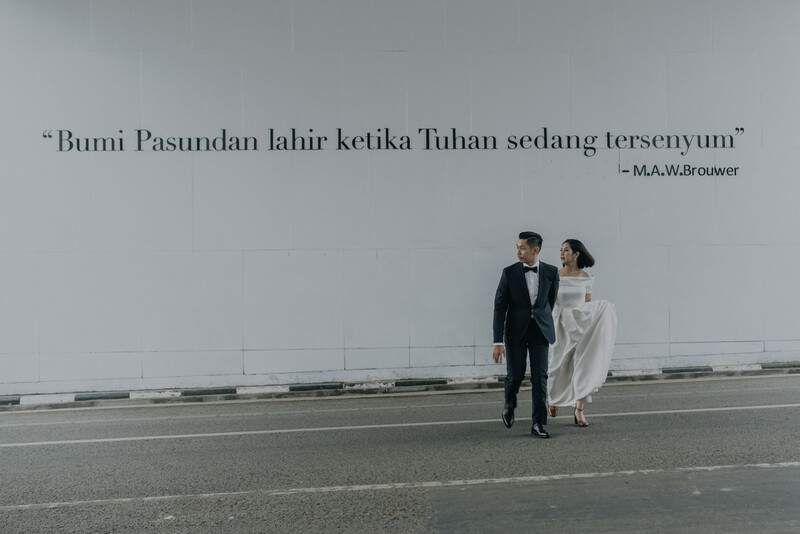 Although this place was built during the modern time, it successfully adapts Dutch-style architecture which is perfect to add elegance to your pre-wedding sessions! This camping site is a go-to place for those with the idea of an enchanting forest look. Not only tall trees and dewy grass, here, you can have your pictures taken with deer in their natural habitat! 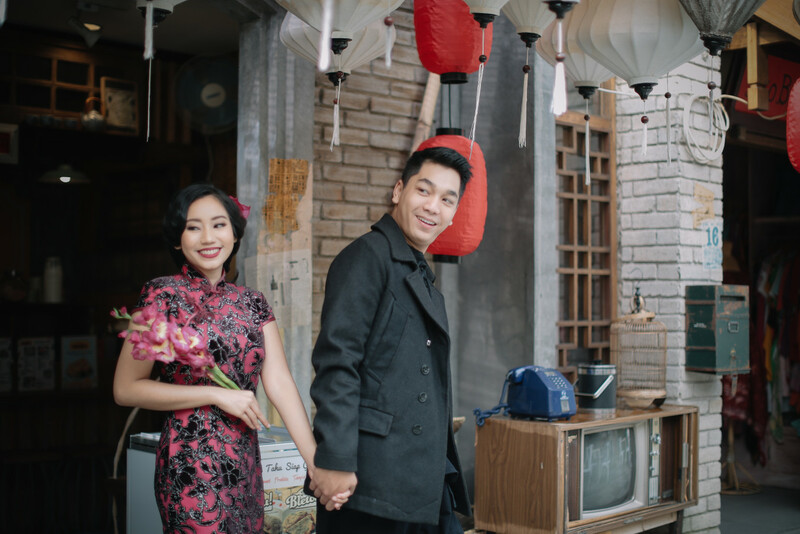 A Chinatown shoot sure is modern and cultural! 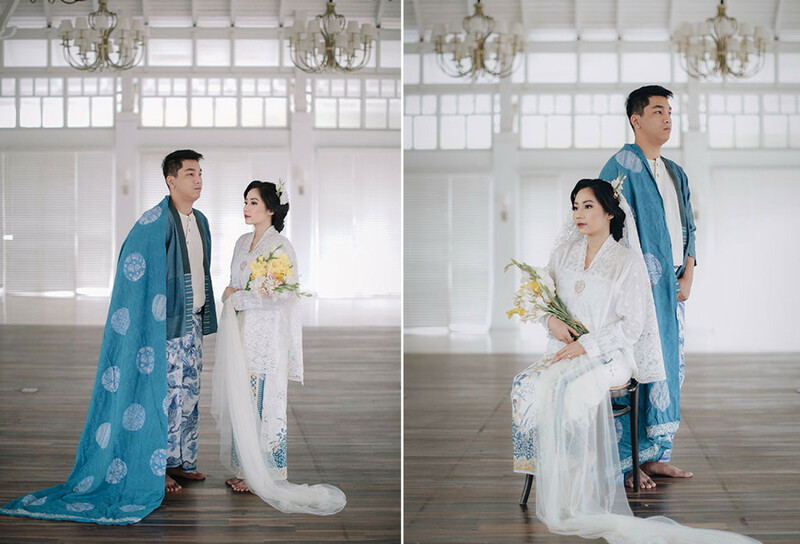 In Bandung’s Chinatown you get to direct your shoot to be as fun as possible and play with the naturally vibrant colors of the arena, without losing elegance and delicacy. 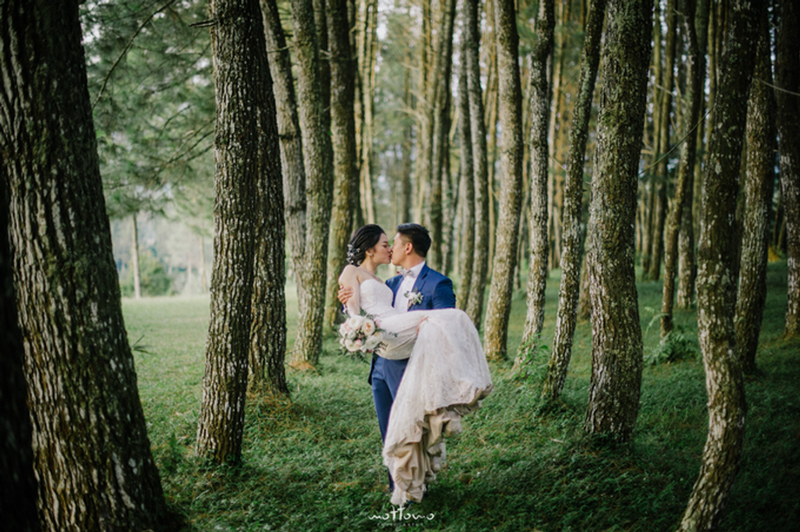 Pine hills are a popular pre-wedding destination for a reason. It’s the right place to go for a romantic pose at any angles. When the sun hits a spot low enough, you will also get a dramatic, natural light effect from the sunlight that disperse in between trees. It’s not Bandung if it doesn’t have a lively atmosphere in their streets. The center of all the liveliness is in Asia-Afrika Street. 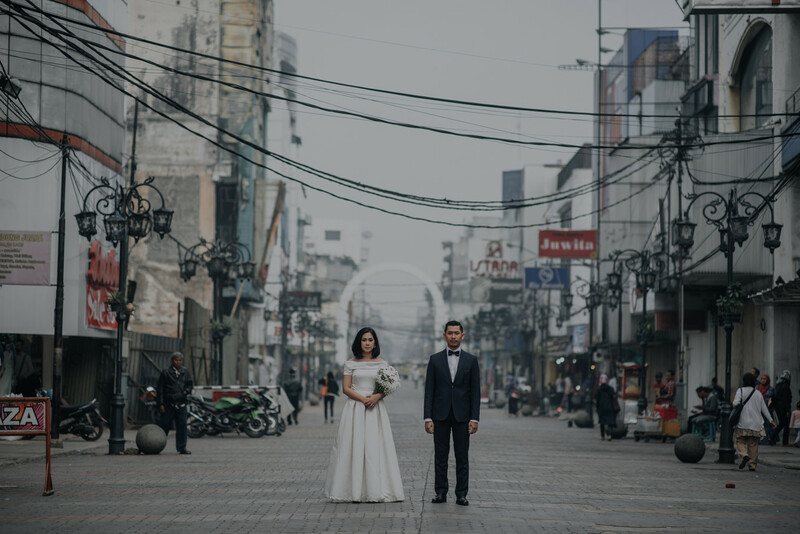 It is the street where you’ll find a lot of photo-spots, including various colonial buildings to take a vintage-style picture or vibrant street arts as shown above! 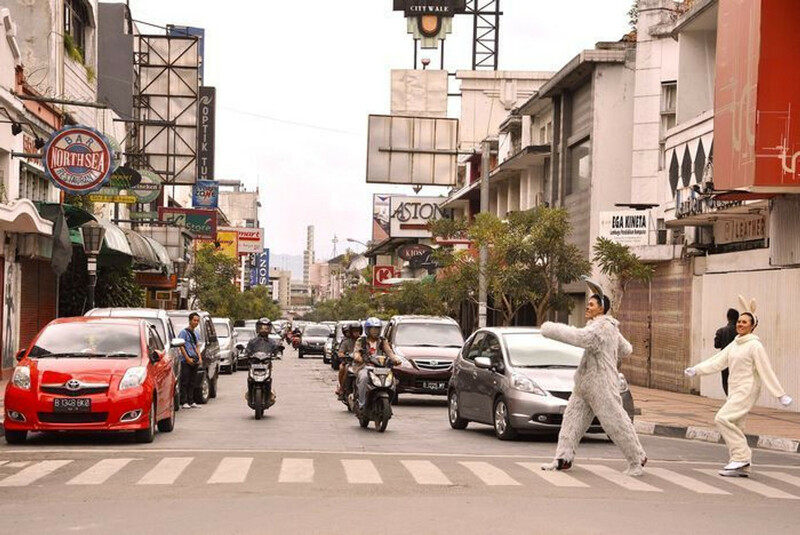 People who come to Bandung should enjoy the animated nuance of Braga Street. You too might want to capture the fun you have with your partner in a pre-wedding shoot in a very vigorous setting. A playful, edgy and artistic shoot would feel at home in this setting. Whichever place you choose, please do bear in mind to always coordinate the theme and attires you will be wearing to the venue. Also, when and where you'll be doing your hair and makeup as these arrangements would directly affect the photo shoot timeline and convenience. For instance, if you're all dolled up and ready to go, but then you'd have to climb a high or steep hill to reach the shoot location, would it ruin your makeup and outfit? 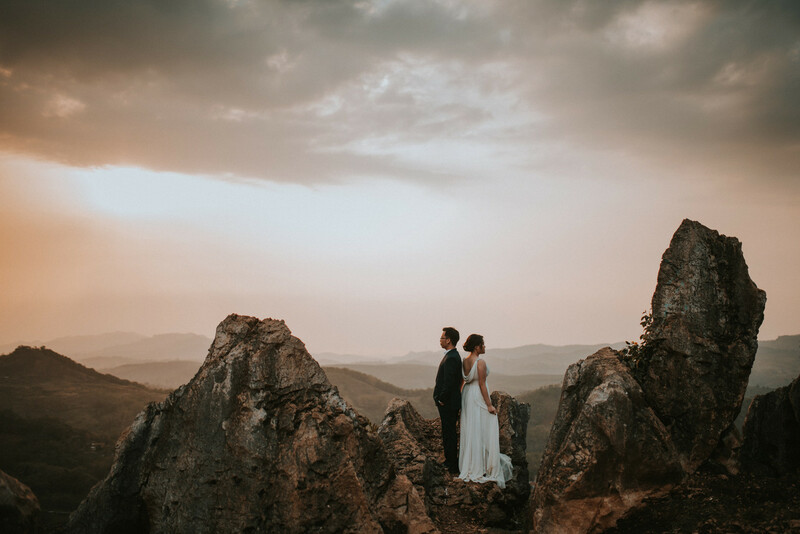 And if the track is tough and you're not used to these kinds of trips, would it be wise to do it now, at one of the most important moments in your wedding planning? The point is, be wise and considerate. You know yourself best and whatever choice you make, the pre-wedding experience should be a good memory you two will cherish forever. Also, don't be afraid to consult your photographer or makeup artist, so that they can coin in some helpful advises based on their experience. And, among all the locations above, which one is your favorite? Or is there any location that you know, but we've missed? Tell us in the comments below and add the photos you love to the inspiration board!